Data: 430,802 bloggers wrote 964,269 posts today on WordPress.Com. Add all the new posts on Blogger.com, and you have an overwhelming number of blog posts to read. Freshly Pressed by WordPress features excellent posts of the last day or so, and mash-ups by individual bloggers help to identify other good ones. 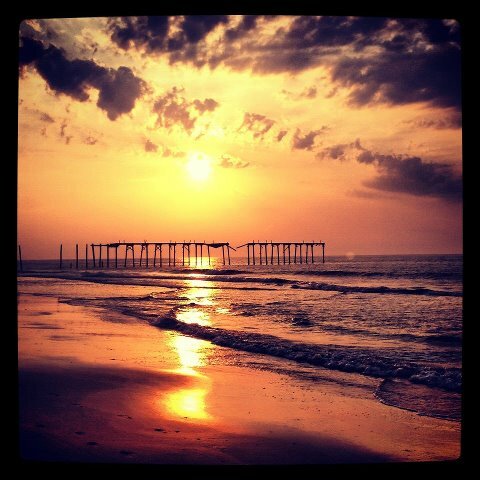 Here is a Saturday sampling of my own blogosphere wanderings this week. Travel: “Where’s my backpack?” writes about the Franciscan Monastery of Mount St. Sepulchre in the Brookland neighborhood in northeastern Washington, DC. The Franciscan Order, established in the 12th century, was charged with caring for all Christian shrines in the Holy Land. 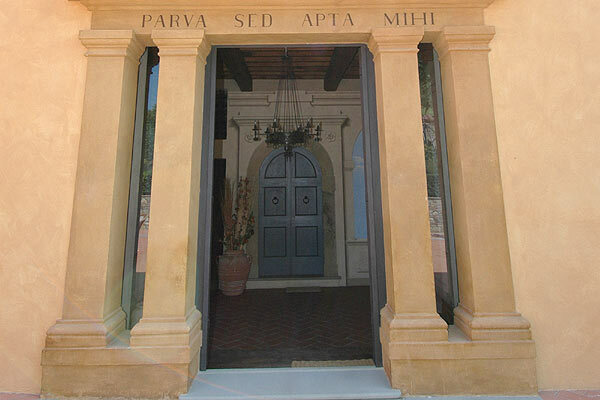 The buildings and grounds of this monastery, built later to provide “a taste of the Holy Land,” features replicas of those shrines and chapels in the Holy Land. 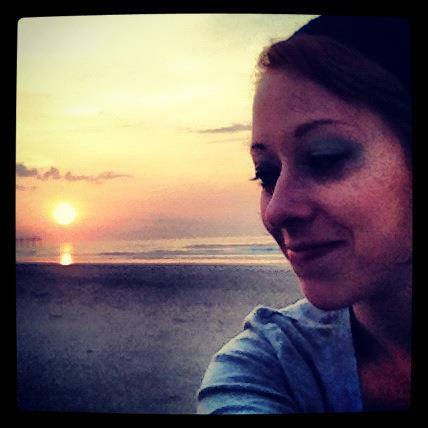 Recipes: Panini Girl has an obsession with Italy and with food, two of my favorite topics. Recently she posted a recipe for a tomato tart (July 6, 2012), and this week she put up a recipe for a delicious-looking zucchini tart. I went out today, bought all the ingredients I needed, and made one up for dinner. It’s as delicious as it looks! 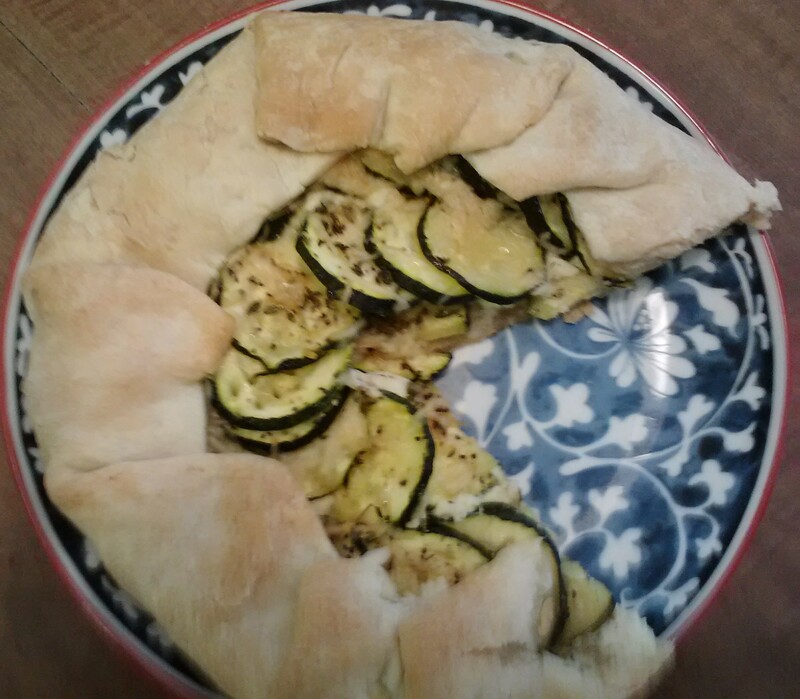 The recipe for the zucchini tart was posted on July 26, 2012. Here’s a picture of my attempt. 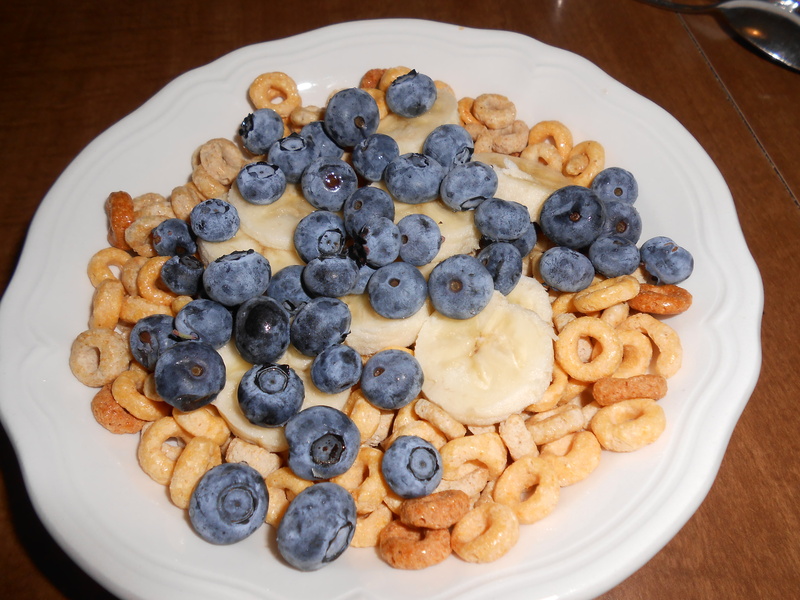 Recipes: What to do with those extra blueberries? You have more than enough to make my easy-peasie blueberry tart (recipe here), so why not make this blueberry…umm…casserole pie found on the Three Clever Sisters blog on July 26, 2012. This is a great pie for a big family gathering. 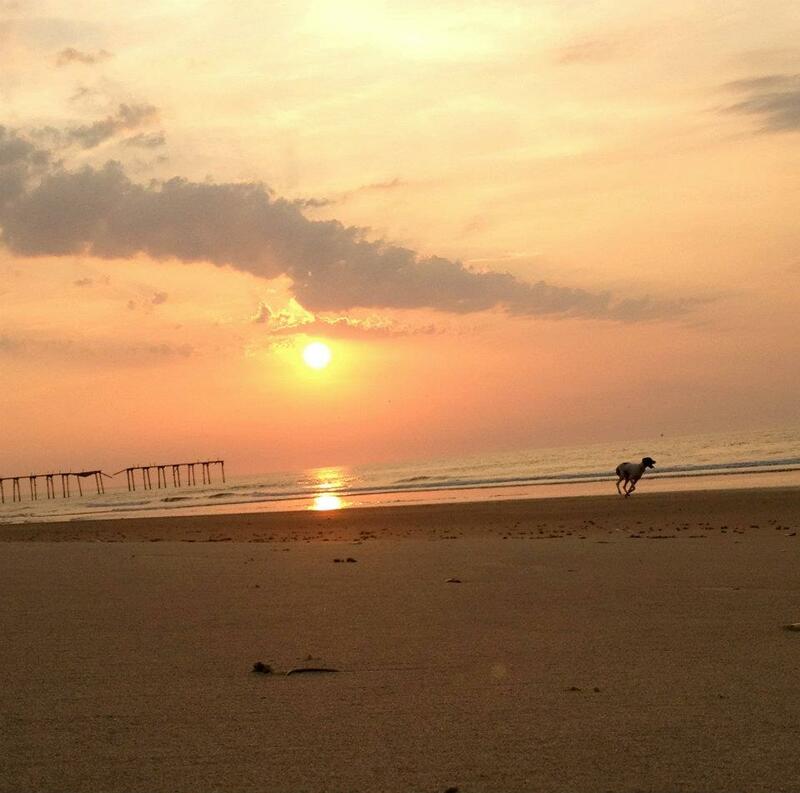 YOUR TURN: What was your favorite blog this week? Something isn’t right on Concho Mountain. Someone or something is out there. Silki knows it, and Silki’s horse, Smiles, knows it. What? A snake? A mountain lion? A wild, winged creature with an agonizing shriek? An Ancient Ant Man looking to settle a grudge? Silki’s active imagination and Smiles’ skittishness force a hasty retreat back to the safe confines of the family compound. Silki races to tell her “extreme tale” (another one!) to Birdie, her best friend (former best friend? 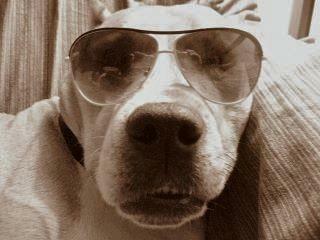 ), but Birdie’s mind is already on her new, cool, more sophisticated (and normal) volleyball friends. Besides, Birdie is secretly just a little freaked out by Silki’s fantastic stories of a revenge-seeking Ancient Ant Man who demands the return of sacred relics they have collected near Red Rocks on the Rez (Navajo reservation). 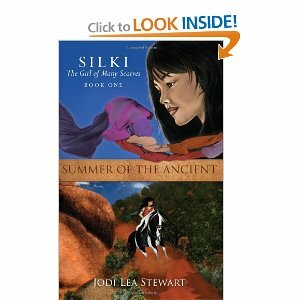 This engaging book, written by Jodi Lea Stewart, has several themes. Being an adolescent, one theme, is not easy with its sometimes wobbly friendships, divided loyalties, and changing interests. Add some mystery, let’s say scary mystery, and you have a spell-binding story. Now add Navajo culture and traditions, a few characters with long-held secrets, a bit of odd behavior now and then, a kidnapping, and… I’m breathless! Open the book to any page, and you will find exquisite writing with descriptions fresh and alive. The story begins on “a sweet pepperminty day in the high country when spring teases winter into moving over a little” and goes on from there. Upper elementary and junior high teachers will delight in using this book and having students pick out their favorite passages. What was I doing? It was more than just boredom egging me on. It was like I was uncorking a bottle and all the troubled Wol-la-chee liquid was pouring out and I couldn’t stop it no matter what. 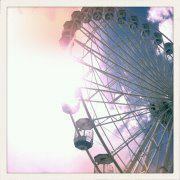 A thrilling craziness pulled me like a magnet. The thrilling craziness in this book kept me up ’til the wee hours of the morning. I loved the book, and now I am sending it to my twelve-year-old granddaughter who lives in Arizona. 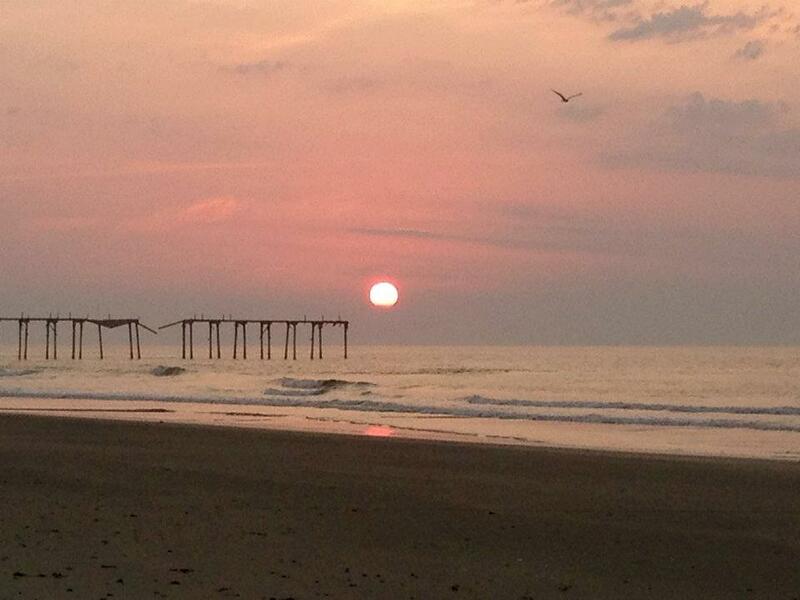 Hurry up, Jodi, and finish the second book in the Summer of the Ancient series. I want to know what happens next. 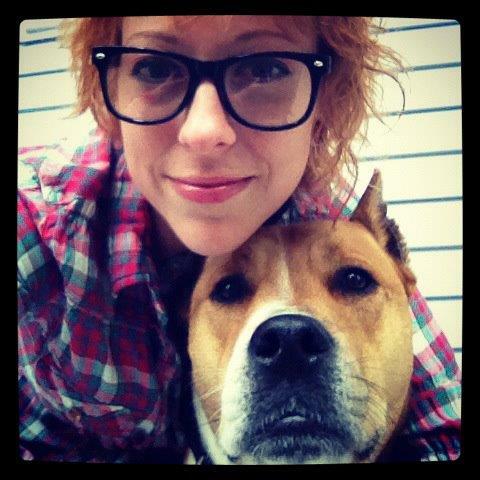 I am delighted to have Cassandra Heck as my *first* guest today on my blog. Cassandra is a multi-talented young lady whose flair for fashion, style, and panache are well known in this area. She is a hair stylist extraordinaire, designing the most imaginative up-dos for proms, weddings, and other special events. She creates dramatic feathery, flowery, beady, glammy hair pieces to go with those adorable, up-scale (any color you want!) hair-dos. In her off hours, Cassandra creates and photographs her own vegan and vegetarian specialties to enhance her own well-being and to tantalize the taste buds of her non-vegetarian dad. An artistic person, she has been known to fashion other-worldly creatures out of wasabe and ginger at a favorite Japanese restaurant, leaving the confused waiter to wonder whether he worked in a food establishment or an art gallery. 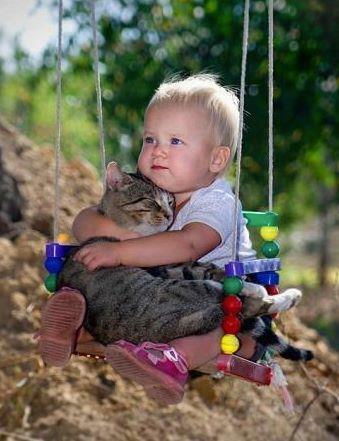 Her almost constant companion, Luca (pictured with her) brings many chuckles to our lives. He has his own take on life, but that’s another story. And oh, did you notice her last name? Yes, she is related. She is my husband’s daughter, my stepdaughter. Yes, I know, talent runs in families! That does give us bragging rights. On a recent dawn’s-early-light outing with her equally talented artist/musician/singer/photographer seeeesster, Amanda Heck, aka Akwarian Sea Rebel (mentioned in an earlier post), Cassandra captured the look of innocent and surprising New Jersey. 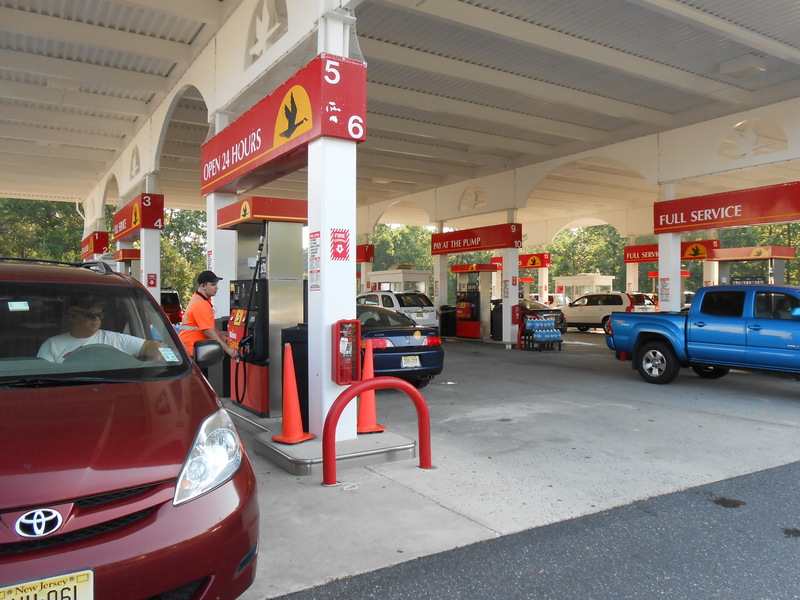 Many people have a jaundiced view of New Jersey from driving through on the Philadelphia-Newark-New York corridor with its factories and smoky stacks, compacted interstate traffic, and congested housing and industrial complexes. But get off that macadam throughway, and you find a state filled with hidden beauty. Cassandra has taken on the challenge of photographing some of these treasures. Let’s see what she has captured. 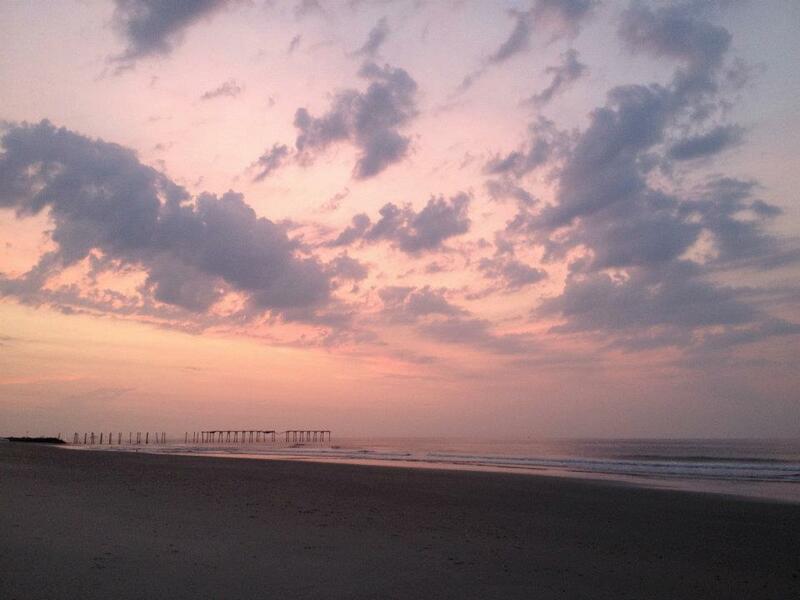 These are great pictures, Cassandra. Thanks for sharing them on my blog. 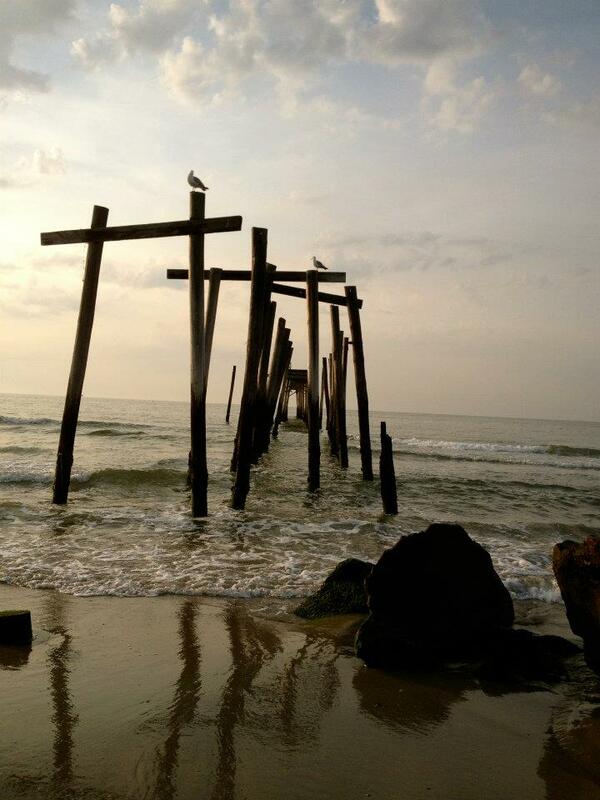 I look forward to posting more pictures from your wanderings in Surprising New Jersey. 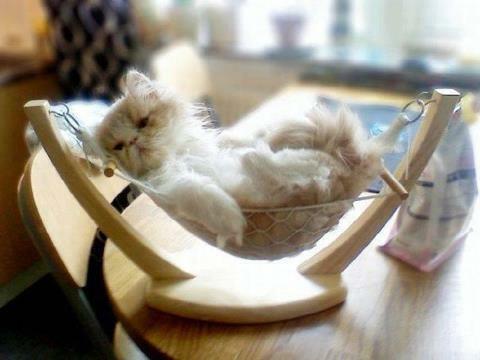 Saturday Silliness: Where do cats sleep? 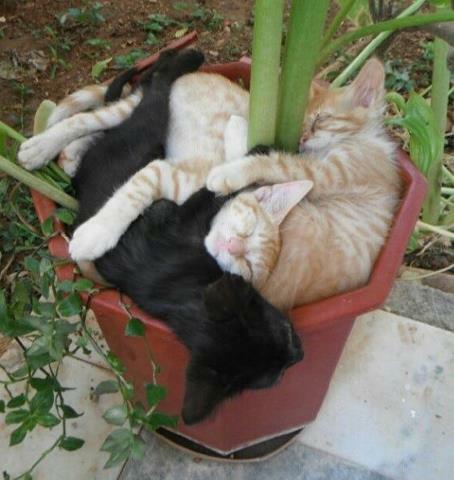 Where do cats sleep? 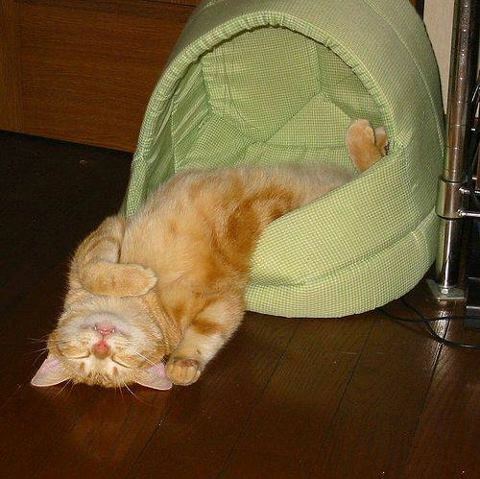 Like 800-pound gorillas, cats sleep anywhere they want. 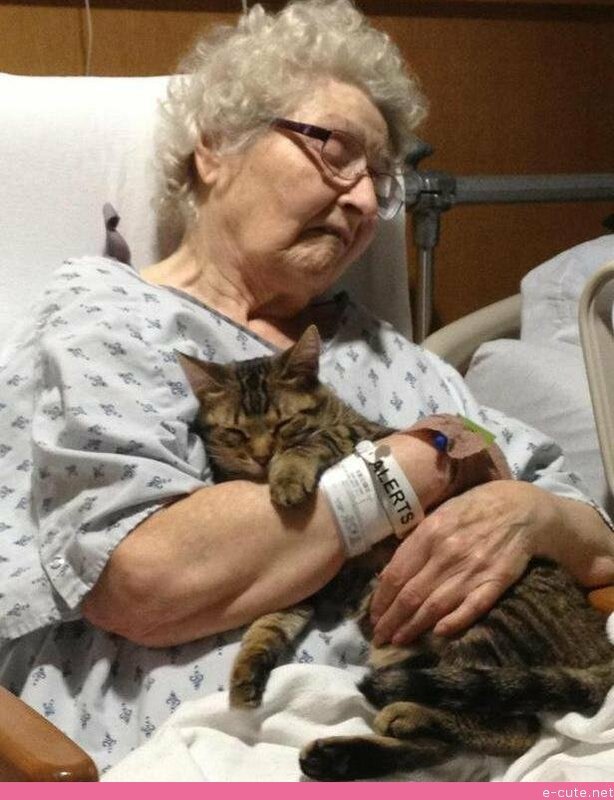 Cats pride themselves on NOT being ordinary. They are creative, inventive, independent, unique creatures. They have live-and-let-live attitudes (unless you forget to feed them or interrupt their naps), and they have the most flexible bones in the world. Cats have their own point of view on just about everything. 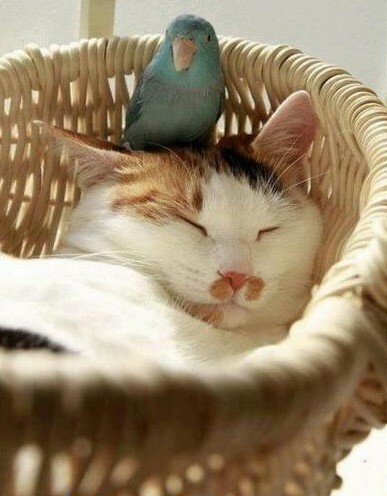 Here are a few amusing kitty siestas spots as found on And My Cat, Petflow, Cat Swag, E-Cute, 1,000,000 Pictures, or from Internet friends. The all-time favorite place for cats to sleep is in a plain, old box. Size doen’t matter. This demonstrates flexibility and adaptability. 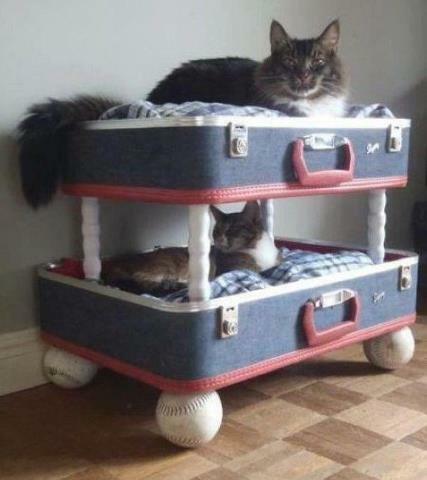 Ah yes, another human indulges provides the kitties with these adorable bunk beds. 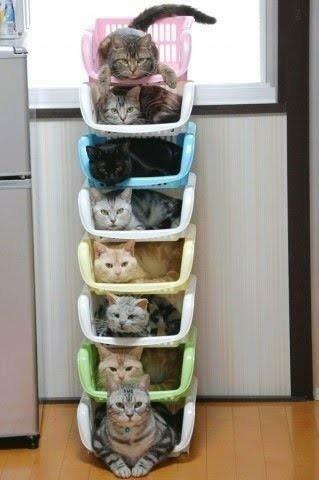 Bunk beds? How about octo-beds? 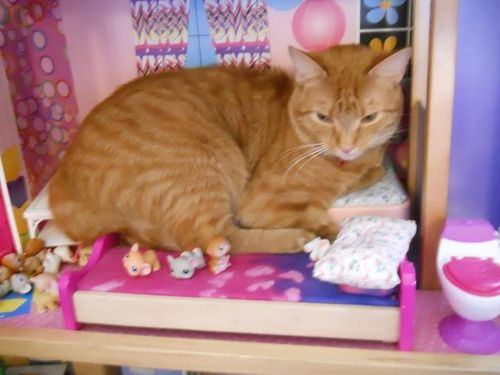 Maybe it’s a little lumpy and small, but a Barbie bed is not a bad place for a nappy. 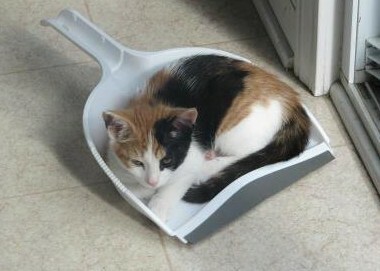 Some kitties have their own idea about perfect sleeping arrangements. 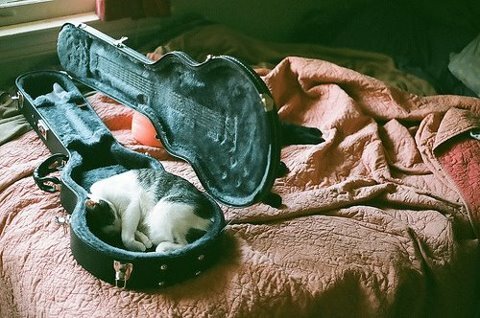 Sleeping in a violin case? Whatever. Sometimes ya gets so tired, ya falls asleep wherever ya falls asleep. And sometimes your buddies find a good place for a nap, and you just have to join them. At least it’s cooler here! 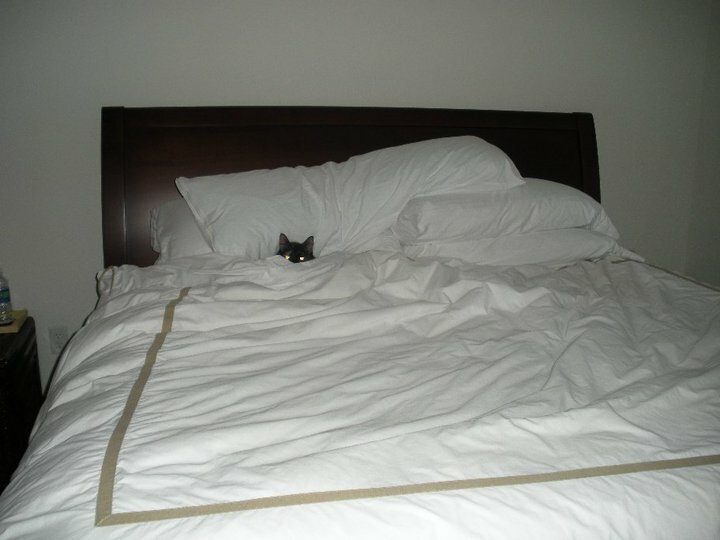 The queen’s bed is always a nice place to snuggle. Shhhh. 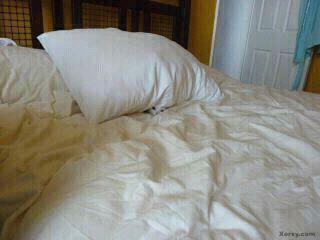 Don’t tell Mama where I am! 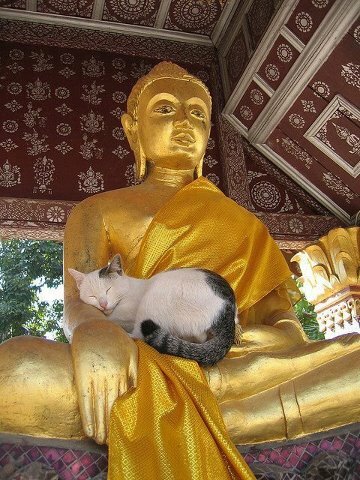 Buddha’s lap is a little harder, but it’s still an okay place for a little shuteye. But this is the best place for a cuddle-nap: in Mama’s arms when she’s feeling punky. 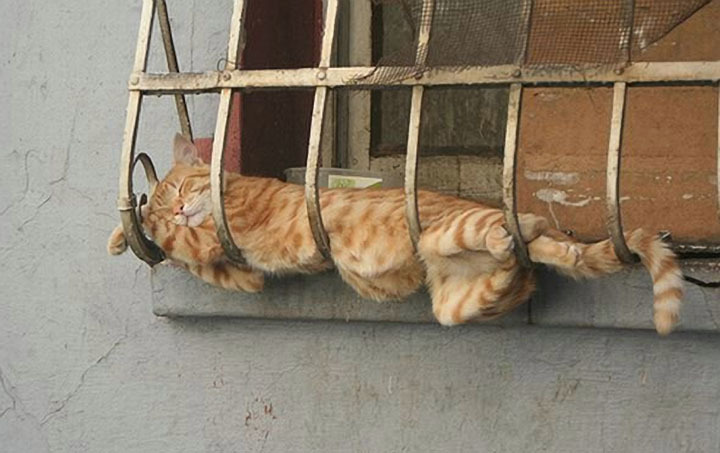 What is the most unusual place you have seen a cat sleep? 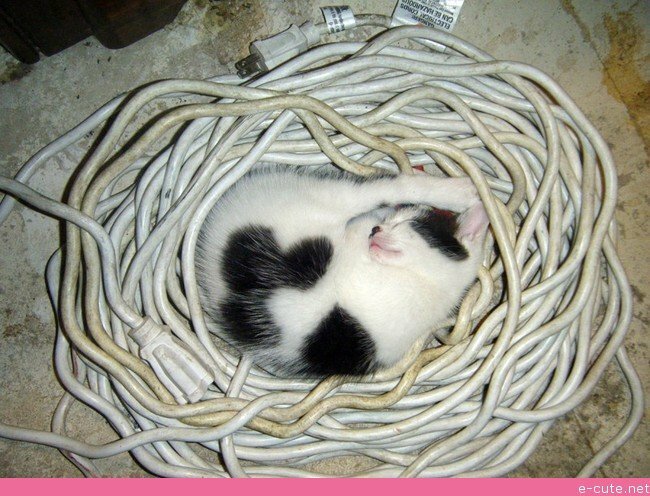 And where is your favorite place for a cat-nap? Frances Mayes and Marlena De Blasi did it. Michael Tucker and Jill Eikenberry did it. Phil Doran did it. Ann Cornelisen did it. Alice Leccese Powers tells of others who did it. 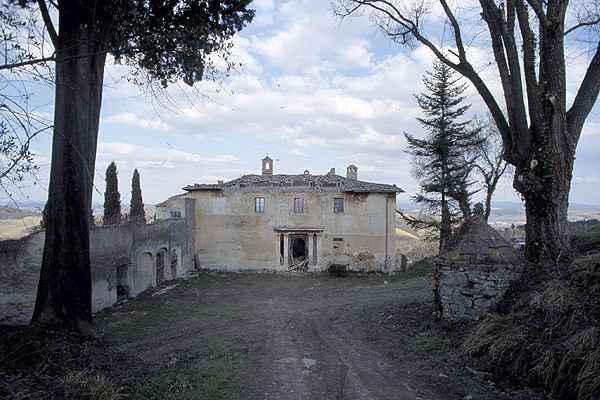 Besides being writers, all these people lived in Tuscany or other parts of Italy, and many of them bought and renovated old villas or farmhouses. And the Bimbi family (Sandra, Simona, Riccardo, and Nicola) did it, too. 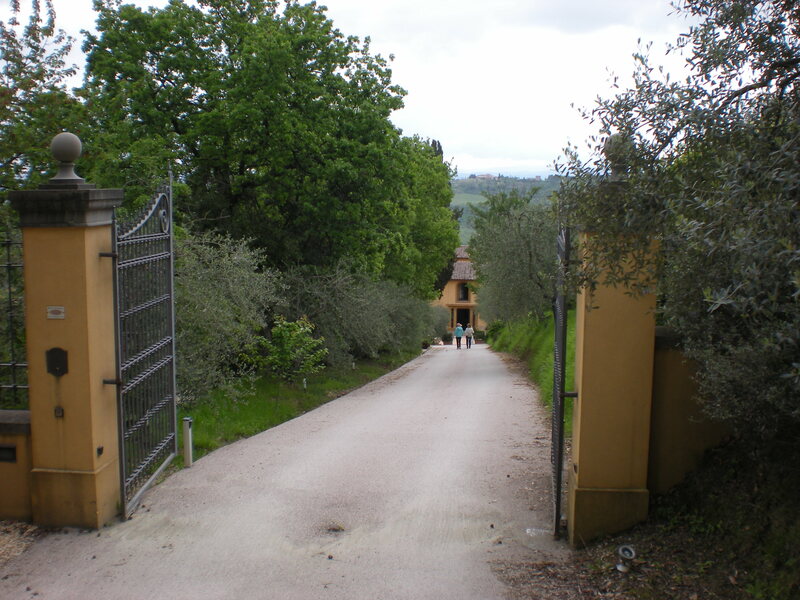 In 1999, they purchased Il Borghetto, one of nine farms of Pietrafitta located within sight of the medieval walled city of San Gimignano. 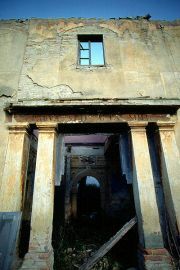 The villa was in serious need of restoration, as you can see by the following pictures (used by permission of the Bimba family). 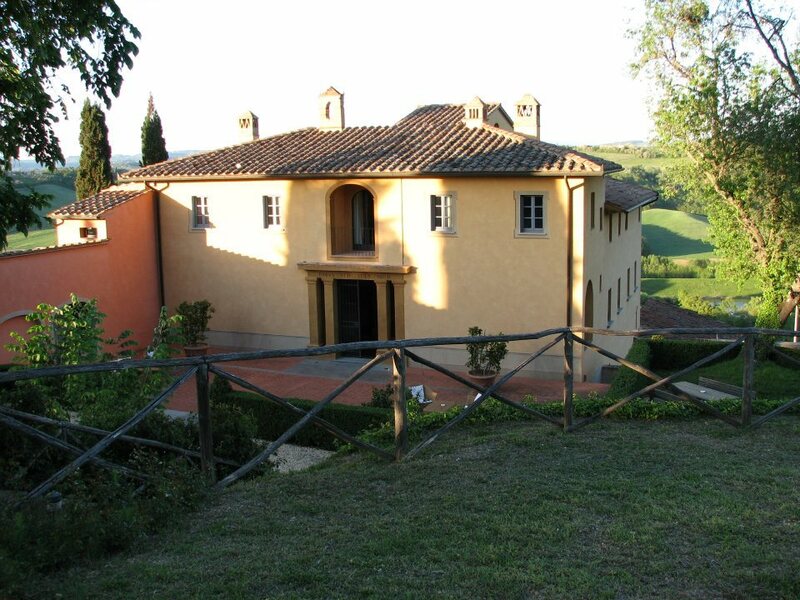 Pietrafitta and Il Borghetto lie between Florence and Siena in the Tuscany region of Northern Italy. 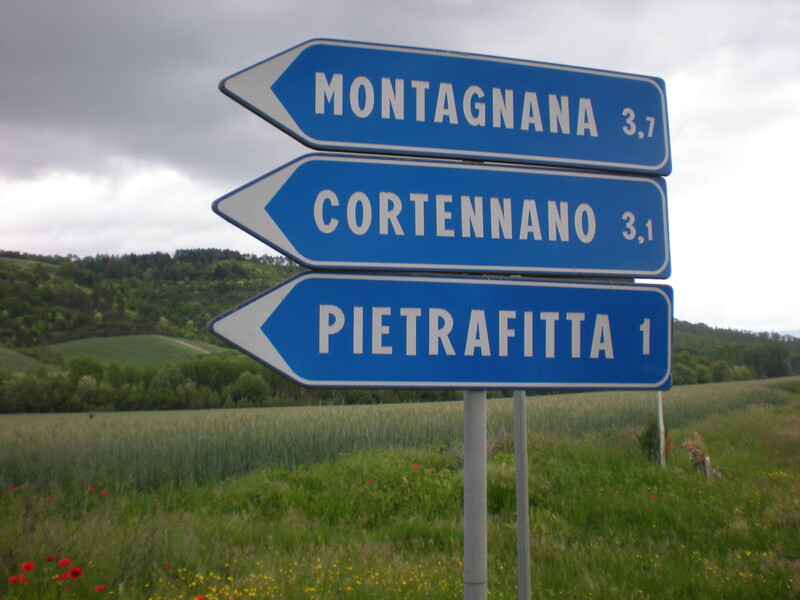 The name Pietrafitta means “stone pressed into the ground,” indicating a tollgate marker or boundary line on the ancient Strada Chiantigiana, the road from Florence going south to Siena. The road is now SR222. 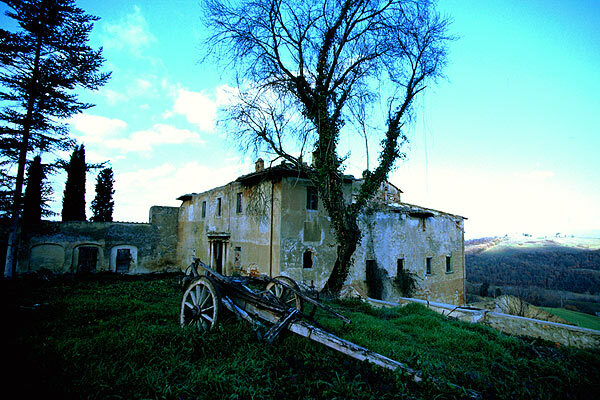 Over Pietrafitta and Il Borghetto’s long history, political, religious, and economic events intertwined, reflecting the historical upheavals of the times as Tuscany moved through the dark ages, medieval times, the Renaissance, and into modern times. In early medieval Tuscany successive rounds of invaders from the North, Ostrogoths (405AD), Goths (552 AD), and Lombards (570 AD) claimed territory in Italy. The Pope called in Charlemagne, King of the Franks to rout the Lombards in 774 AD. Charlemagne drove them out and was crowned Holy Roman Emperor (800 AD) for his efforts. This started the power struggles between the pope and the emperor: Who will rule Italy? The emperor or the pope? As if these external forces did not cause enough problems, Italy had a long, checkered history of internal power struggles, constant feuding, scandals, and broken treaties. Wars of revenge or conquest raged almost continuously between competing and often changing factions of popes and cardinals, emperors and kings, Ghibellines (supporters of the Holy Roman Empire) and the Guelphs (supporters of the pope), noble families, and in later times, the bourgeoisie (merchants, the rising middle class), plebeians (common people), and serfs (workers bound to their owners). All of this resulted in instability in the region as major city-states (Florence, Lucca, Pisa, Venice, Parma, Milan, and others) fought against each other. 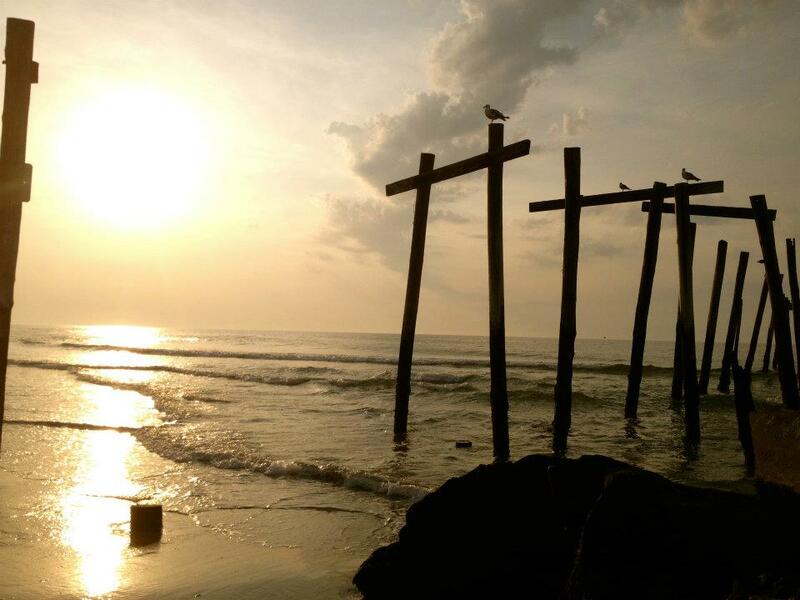 To be on the wrong side of a conflict meant plunder, destruction of property, and often banishment or death. 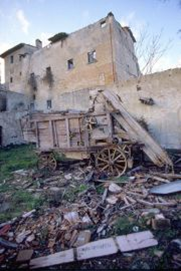 Even towns suffered the fate of complete destruction and mass forced exile. Bribery sometimes saved the towns as mercenaries preferred money to loyalty. These were not easy times by any means. Eventually, after centuries of both external and internal power struggles, King Victor Emmanual II unified Italy in 1861, the first time it had been united since the 6th century just before the Holy Roman Empire began to disintegrate. Still, Italy had more tough problems to face with World War I, Mussolini, and World War II. 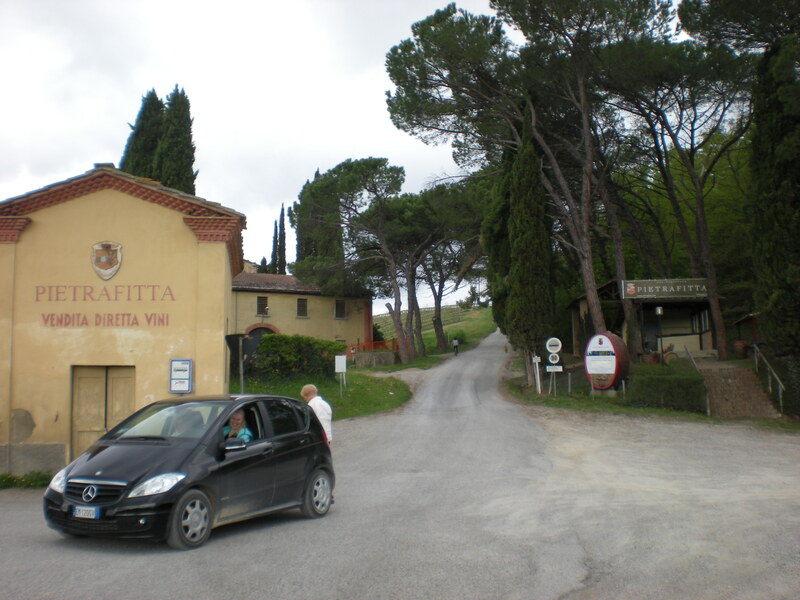 How did Pietrafitta and Il Borghetto fare through all of this history? 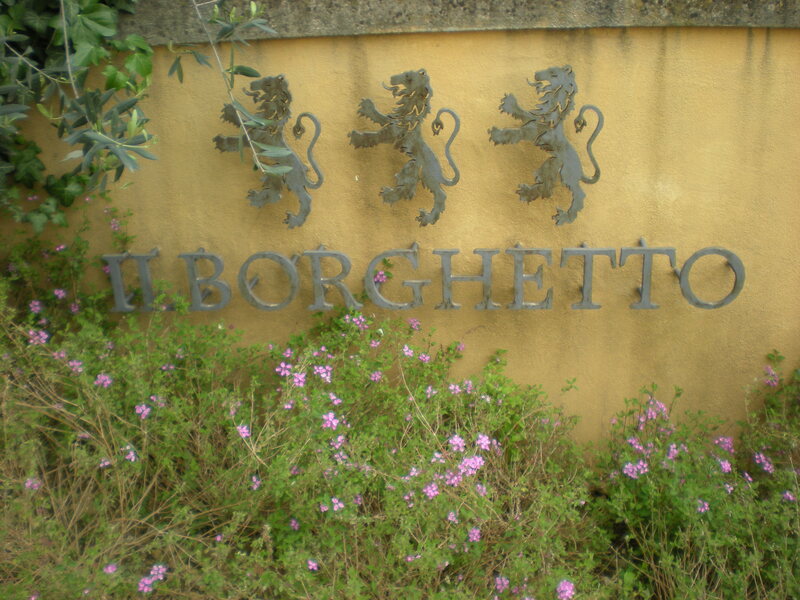 In my next post, I will concentrate on the families that owned Il Borghetto over these chaotic centuries. 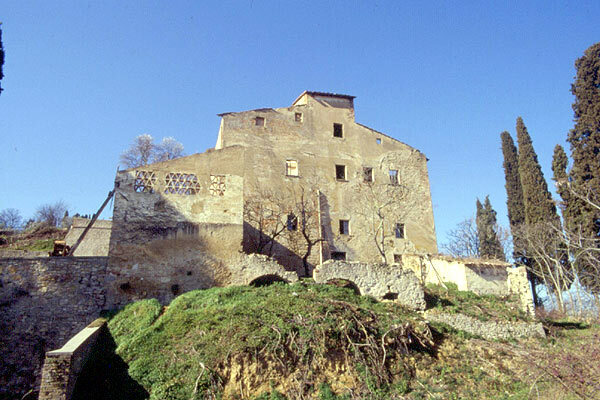 In the meantime, this is what Il Borghetto looks like today after restoration by the Bimbi family. From 16th century poet, Ludovico Ariosto. 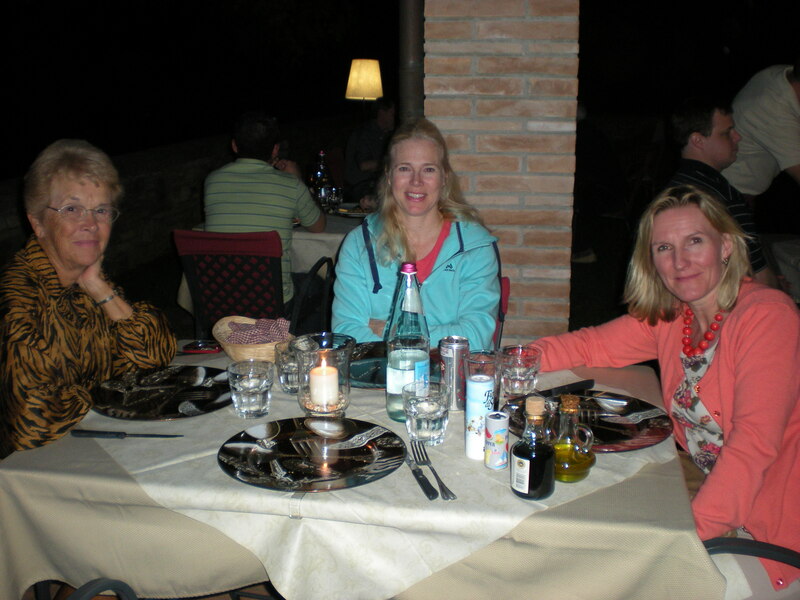 Carol, Inger, Chris at dinner at 8 pm on Il Borghetto’s covered patio after a long day of exploring Tuscany. Just as the writers mentioned earlier discovered, restoring a villa is hard work, but the final results bring pride and satisfaction. Not really small or just enough, Il Borghetto is magnificent and inviting. Congratulations to the Bimbi family for a job well done. 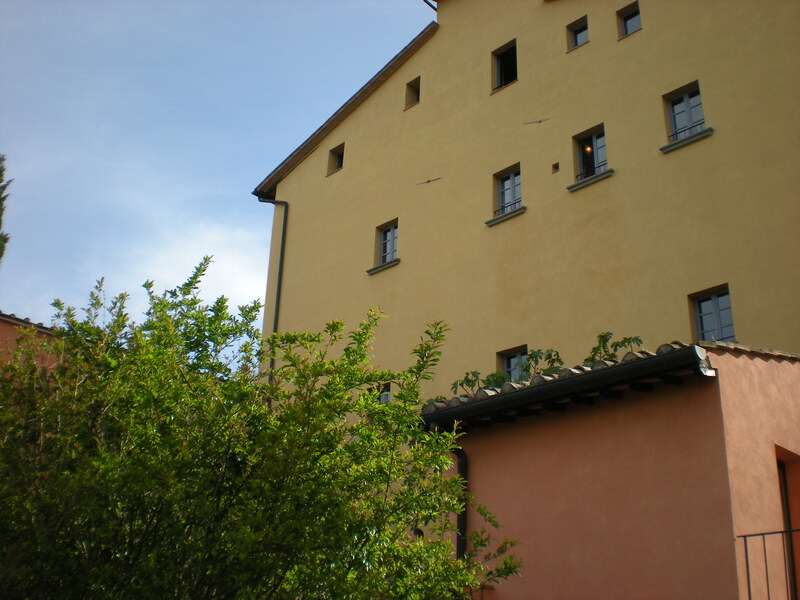 You can find Il Borghetto at www.ilborghettotuscanholidays.com. 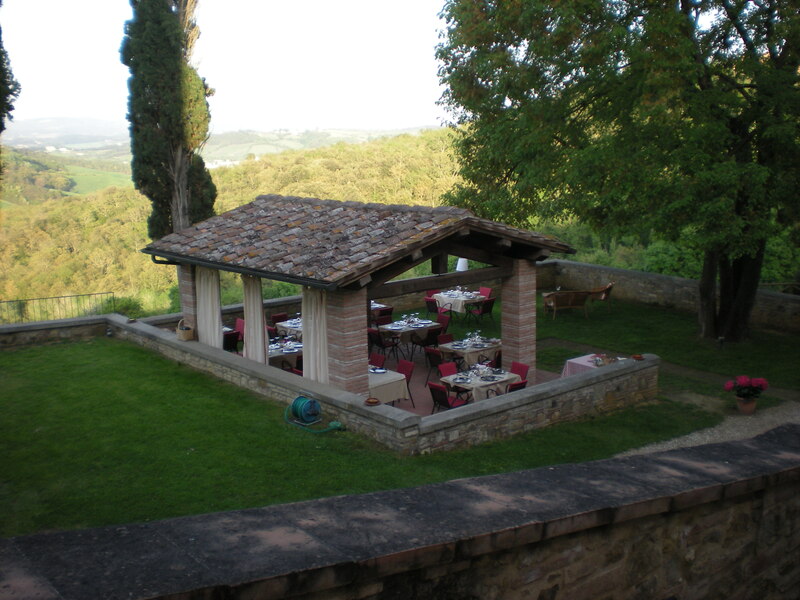 Plan to stay there on your next trip to Tuscany. 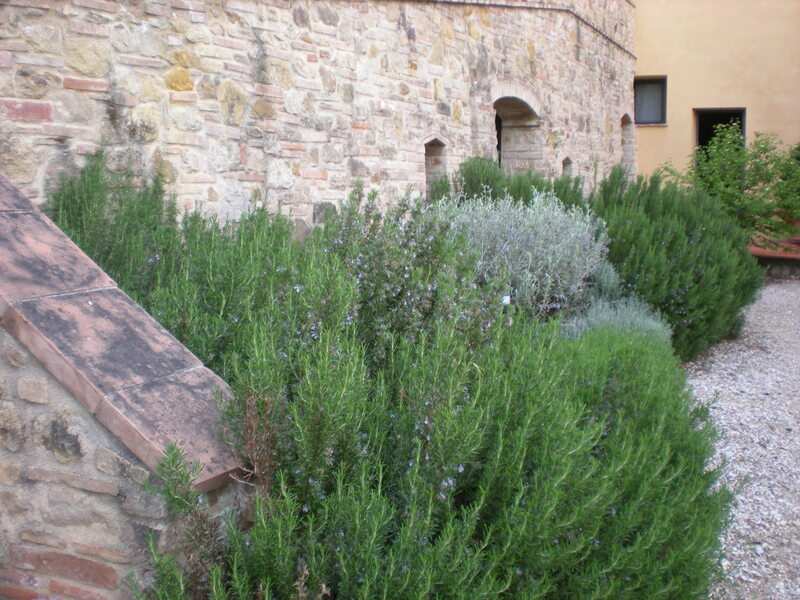 Read my next post to see how the previous owners of Pietrafitta and Il Borghetto fared through Italian history. You can read more about Il Borghetto in modern times in my earlier post here. 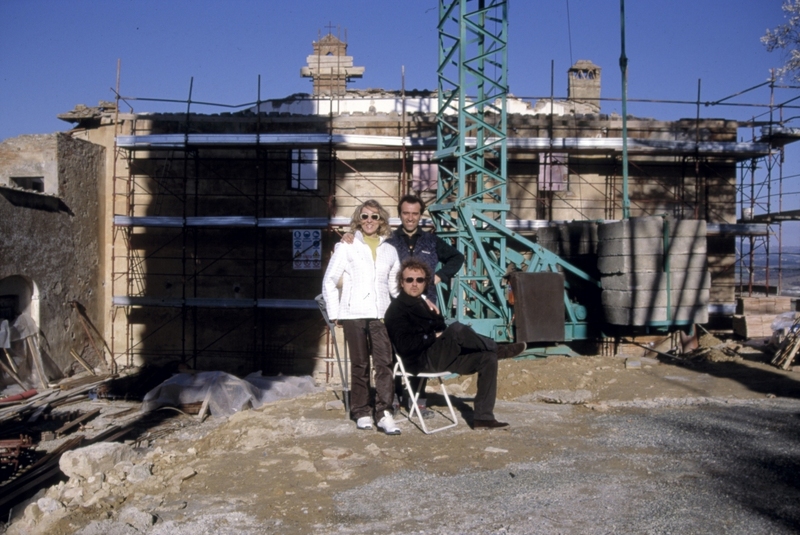 YOUR TURN: Do you know other writers who have restored a villa or farmhouse? What other writers have focused on Italy in their writing? Most people have a favorite season. My favorite? 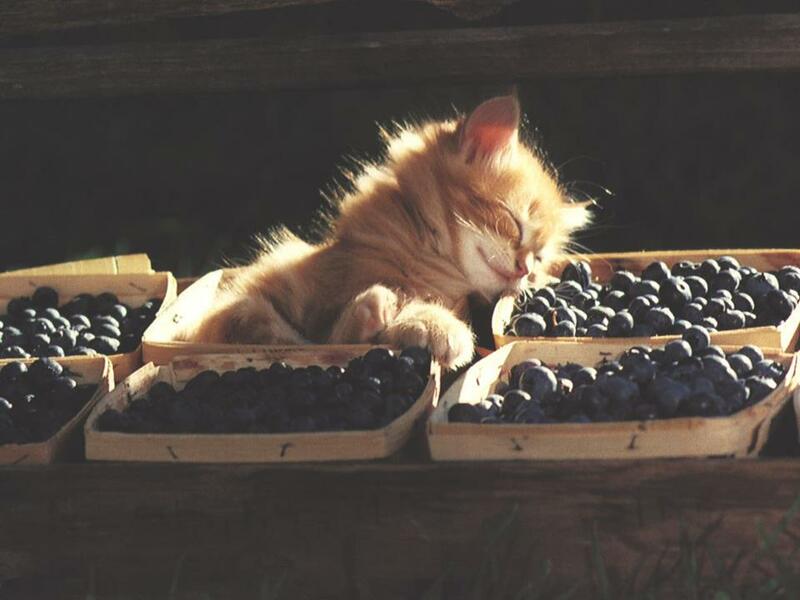 Blueberry Season. Atlantic County in South Jersey is the place to be if you love blueberries. These little blue dynamos, sometimes called bleuets (French), thrive here. 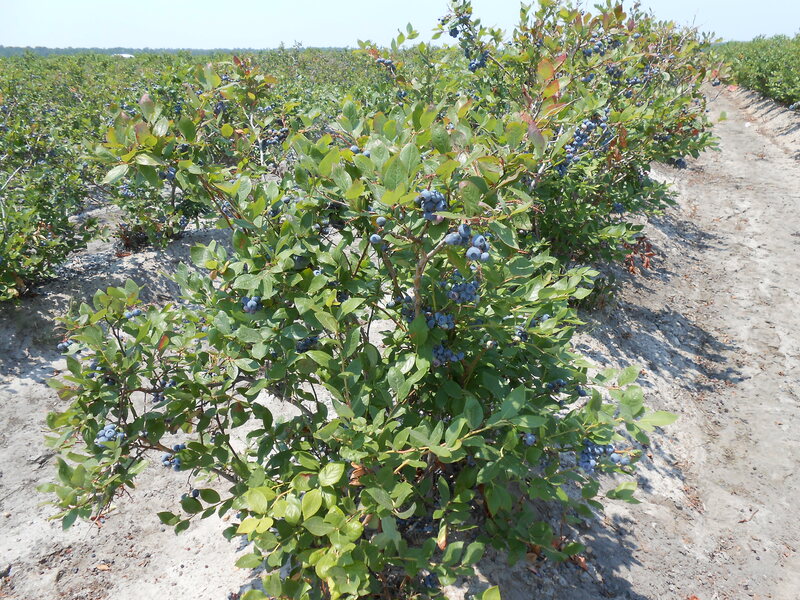 Atlantic County has just the right balance of sandy soil and organic matter (“berryland soils”) that highbush blueberries love, and this county is the largest producer in the state with over 42 million pounds of blueberries harvested from 6,100 acres. In comparison, the next highest producer, Burlington County, harvests 5,300 pounds or more annually from 1,000 acres. 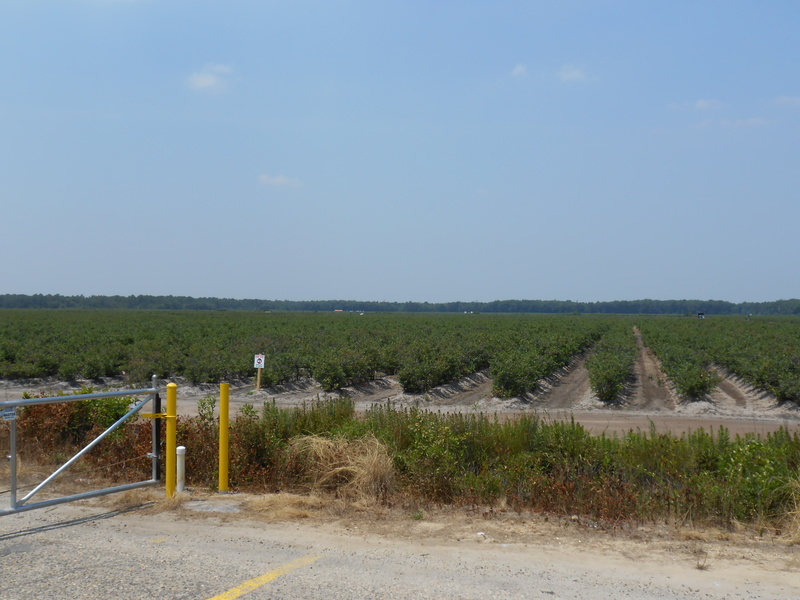 Hammonton, NJ, a town in Atlantic County with a population of 12,840, located between Atlantic City and Philadelphia just off the Atlantic City Expressway, claims to be the Blueberry Capital of the World. To celebrate their claim to fame, Hammonton holds a Red, White, and Blueberry Festival every year on the Sunday before July 4th. This event comes complete with blueberry pie-eating contests, baking contests, carnival games for the kids, a craft show, music, antique cars, a stage show, and plenty of food to eat. You can buy blueberries by the pint or the case, or you can just buy a blueberry pie or a jar of blueberry jam. 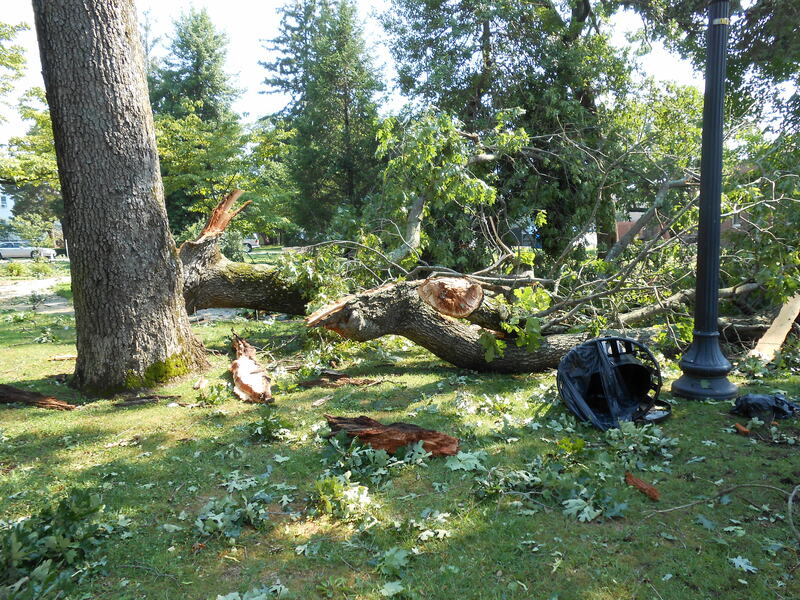 This year’s festival was held last Sunday, July 1, just one day after a terrible freak thunder and wind storm called a derecho hit neighboring towns. 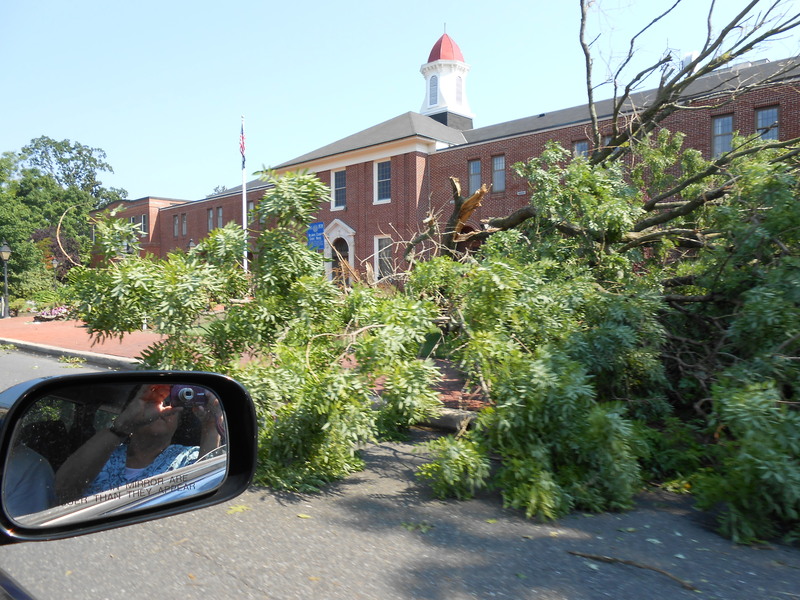 Hammonton had thunderstorms but with none of the damage that hit other Atlantic County cities. Read more about that derecho here. Because of high winds, nearby Mays Landing lost much of its current blueberry crop just mid-way through the season. If Hammonton’s auspicious claim to be the Blueberry Capital of the World is not enough, some New Jerseyites have made another chest-thumping, back-slapping assertion. Vicki Hyman of Newark’s Star-Ledger wrote about our beloved blueberry in “How New Jersey saved civilization by taming blueberries.” You can read that story here. Do you think we Jerseyites make exaggerated claims about blueberries? Think again. 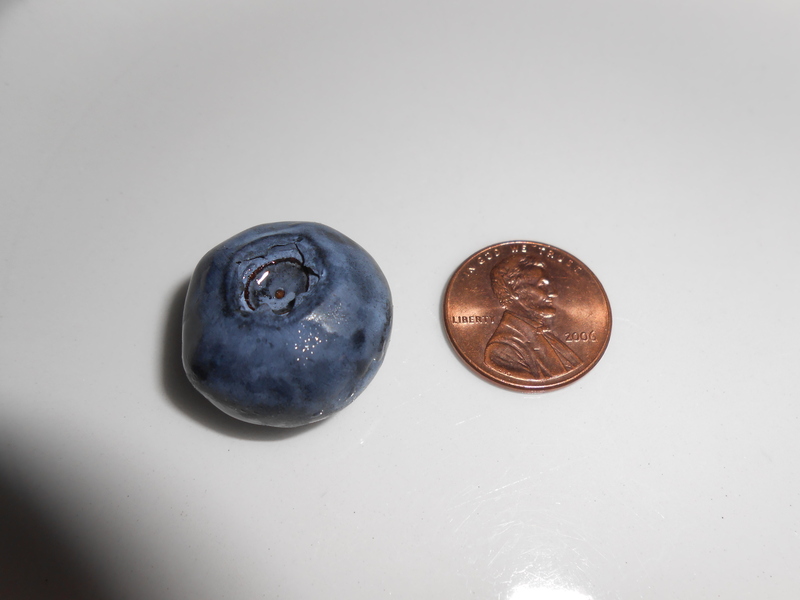 We grow blueberries that are bigger than a penny! Here’s the proof. New Jersey blueberries are big! Historically, lowbush blueberries grew wild in the South Jersey Pinelands, but these berries were small and tart. Native Americans in the area used them for relieving stomach problems and other ailments. We now know that these berries, loaded with vitamins and antioxidants, protect against cancer and heart disease. 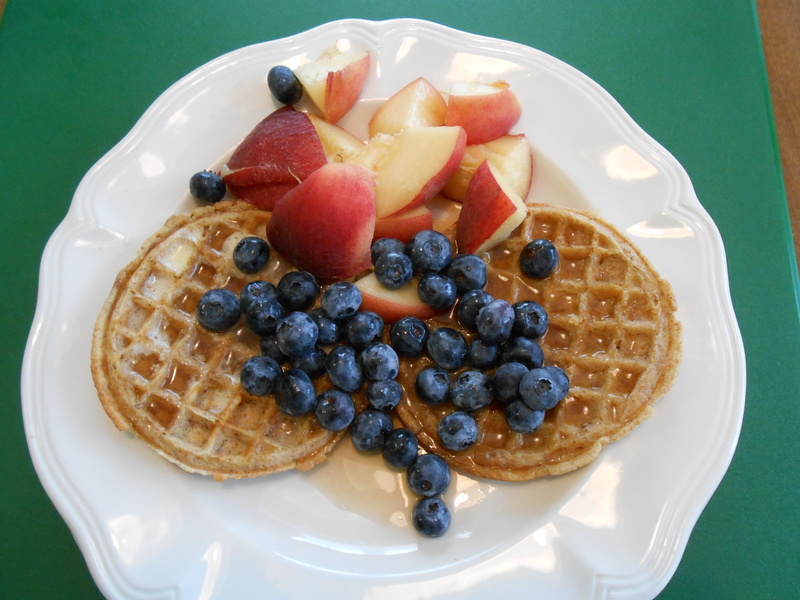 Blueberries lovers also claim that these blue wonders are like the proverbial fountain of youth. Eat them, and you will have better eyesight and better skin, all the while delaying old age. How’s that for fanfaronade? In the early 1900s, Elizabeth Coleman White (1871-1954), a cranberry farmer with a November crop, wanted to expand her family’s farm business into the rest of the year by raising blueberries. She searched out the best wild blueberries bushes in the area looking for the biggest berries. She and botanist Frederick V. Coville then cross-pollinated thousands of cuttings and developed the first cultivated blueberry bushes, beginning what is now a billion-dollar industry in New Jersey. In 2003, Proud New Jersey fourth graders from Veteran’s Memorial Elementary School in Brick, NJ, lobbied the New Jersey Legislature to proclaim these little blue dynamos to be the official state fruit. Their bid was successful, and the Legislature recognized the highbush blueberry (Vaccinium corymbosum) as one of the state’s claims to fame and fortune. Of course, other states put out their claims for blueberries, too. The wild blueberry is the official state fruit of Maine, and several towns in Maine squabble over being the blueberry capital. Maine produces 25% of all the lowbush blueberries in North America. Lowbush blueberry plants are about one-foot tall, whereas highbush blueberry plants are between four and thirteen-feet tall. The bushes in our local fields have a good picking height of about five to six feet. Wild blueberries. Lowbush blueberries. Highbush blueberries. All technicalities! Let’s just say that with Atlantic County producing more than 42 million pounds of blueberries, we have earned our bragging rights! Blueberries are very versatile. You can eat them at breakfast, lunch, dinner, and midnight snack. You can use them in drinks, sauces, soups, salads, breads, entrees, vinegars, desserts, and wines. Here are some of my favorite ways to use them. 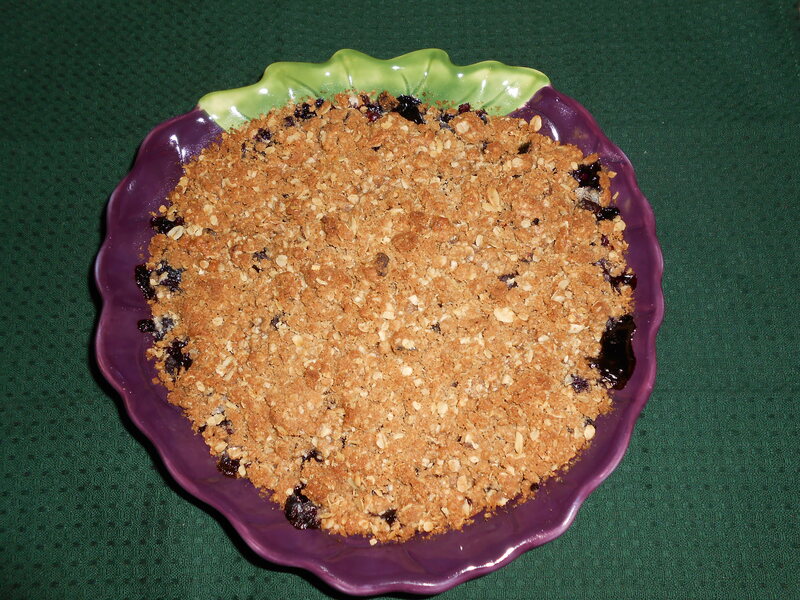 Want to try making the Blueberry Crisp or the Easy-Peasey Blueberry Tart? Here are the recipes. Pour blueberries in a deep dish pie plate and toss with flour, sugar, lemon zest, and cinnamon. Make crisp topping by mixing brown sugar, flour, cinnamon, and butter. Pat crisp topping over blueberries. Bake at 375 degrees for 30-40 minutes or until blueberries are bubbly. Mix blueberries, flour, sugar, cinnamon, lemon zest. Pour mixture in center of crust. 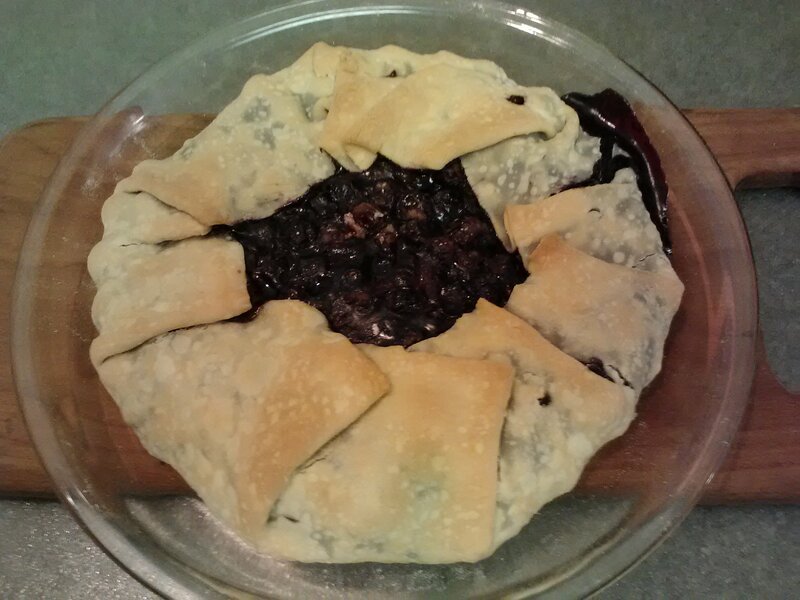 Fold edges of pie crust back in over blueberries. Bake for 30-40 minutes at 375 degrees until blueberries are bubbly and crust is light brown. Blueberries can also be used to make wine. Our local Balic Winery produces blueberry and other berry wines along with their usual grape wines. And don’t forget fundraisers. 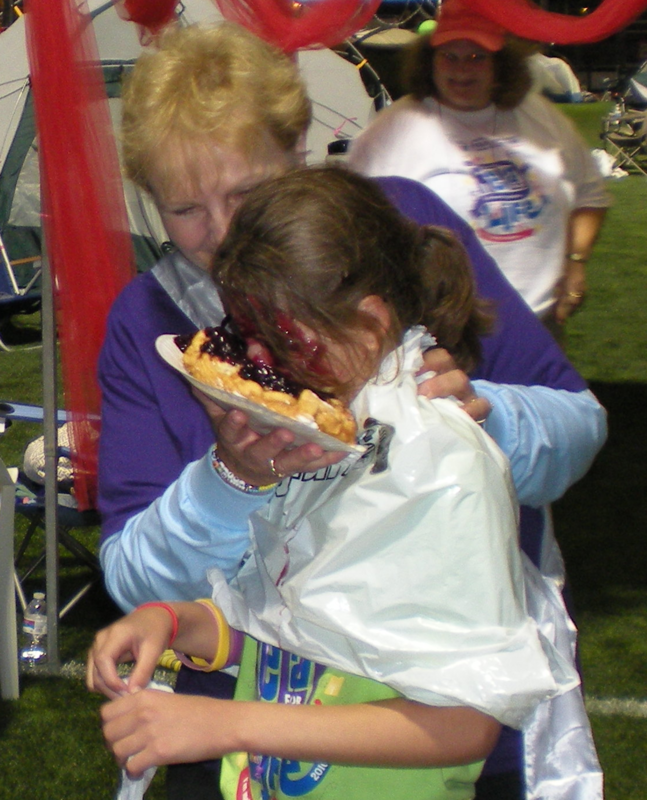 The American Cancer Society raises funds around the country in Relay for Life events, and a good blueberry-pie-in-the-face event gets lots of attention and dollars. Next time you buy blueberries, look at the label to see where they were raised. Maybe you will be lucky enough to buy our Jersey Fresh little blue dynamos. Here’s a bit more on these delicious berries. Late afternoon/early evening thunderstorms are common in Southern New Jersey in the summer during periods of hot and humid weather, but they don’t usually last long or cause any damage. They put on their light-and-sound show, drop a little rain, and blow over relatively quickly leaving much appreciated cooler air behind. 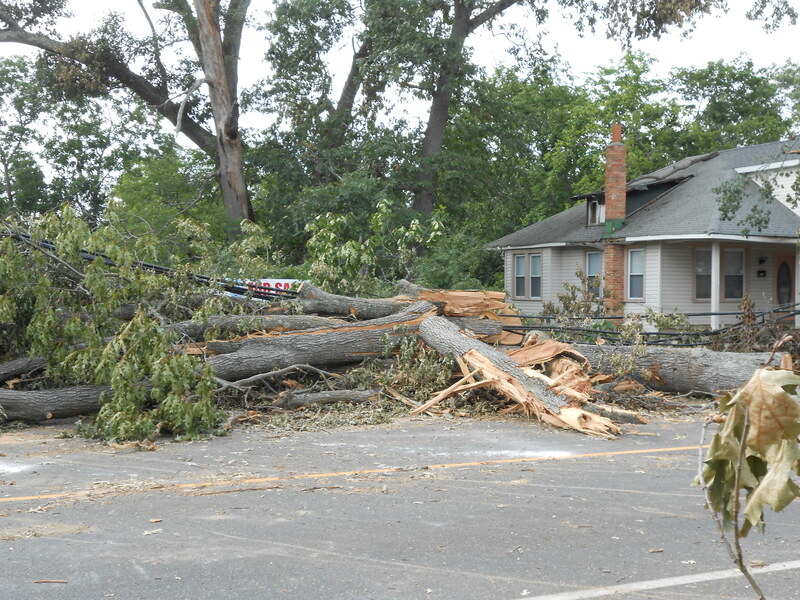 That was not the case on June 30, 2012, when a severe thunderstorm/wind system hit our area with disastrous results. 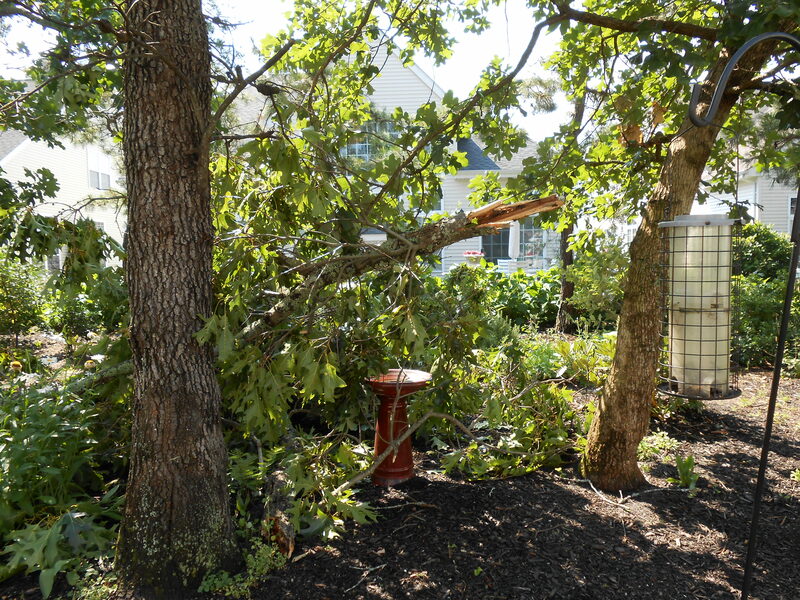 Our local weatherman, Dan Skeldon, called it a derecho (duh-RAY’-choh). A derecho is a fast-moving, wide-spread band of thunderstorms with wind gusts of more than 58 mph along a squall line of more than 240 miles. 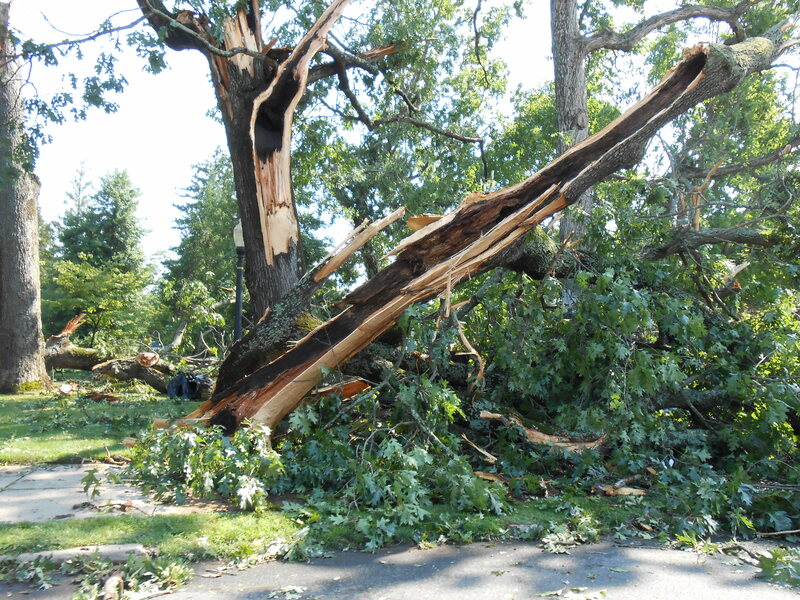 Derecho winds can exceed 100 mph and can cause extensive damage. This derecho reportedly was equivalent to that of an F-1 tornado. Derecho is a Spanish word that means direct or straight. In this case, it means straight winds as opposed to spinning and twisting winds as in tornados. Sustained winds of up to 50 mph-60 mph as well as groups of wind microbursts and downbursts (70 to 80 mph or more) pummeled the area. Local evidence shows that the wind bursts seemed to hop, skip, and jump over areas. 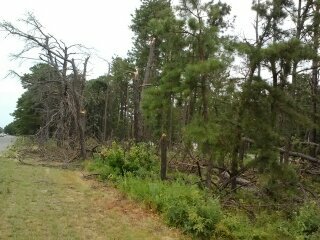 Majestic pine trees in one area (Route 40 near Atlantic Ave.) snapped and splintered at various heights while the next block of trees appeared totally unscathed. This pattern repeated itself in many of the woodsy areas in Southern New Jersey. This storm formed in the Midwest and raced across fourteen states before hitting the Atlantic coast (New Jersey down through Richmond, VA) just thirteen hours later. Watch this hourly time lapse video of screen shots from Weather Underground that shows the speed and direction of the storm movement. Notice how the storm intensified as it hit Southern New Jersey. 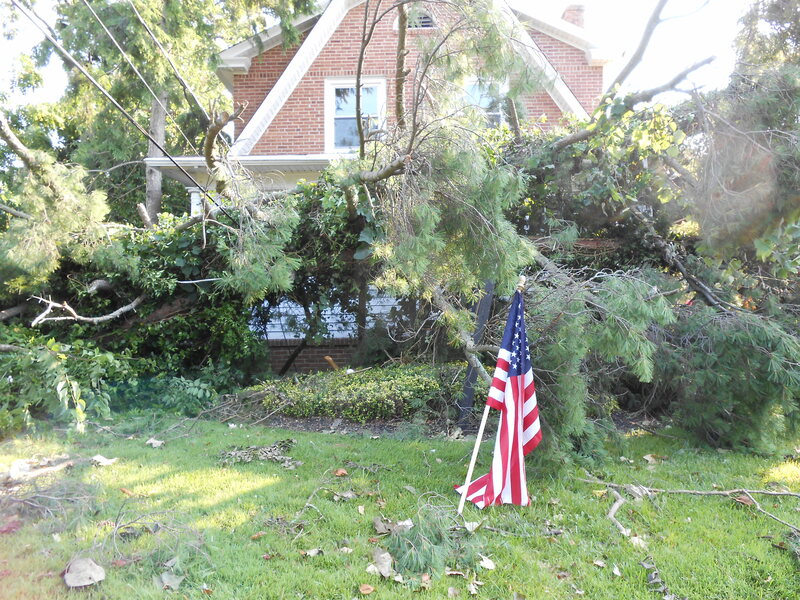 The derecho hit the Southern New Jersey area in the dead of night (1 am) with wind gusts over 70 mph. 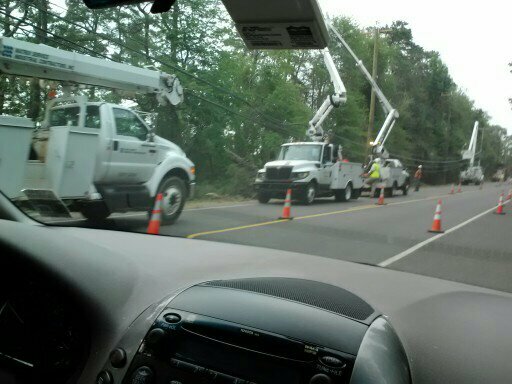 More than 200,000 Atlantic City Electric customers (40% of ACE customer base) lost power because of high winds, fallen trees and utility poles, and downed wires and transformers. We lost power in my neighborhood for almost six full days. My sister, thirty miles away, lost power for seven days. 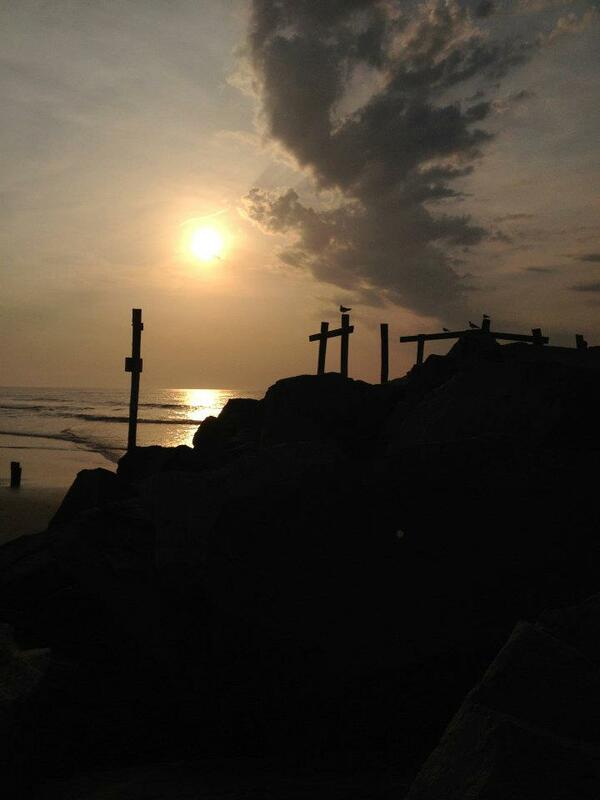 All remaining communities had power restored by Sunday, July 8th, eight days after the derecho. Property damage to cars and buildings was random but significant. One resident of neighboring Egg Harbor Township was out in the storm on Main Street in Mays Landing when a tree fell on his car. Thankfully, he and his two passengers managed to get out of the car safely. At least eleven roads had to be closed in our area, including Route 50, Main Street, the main route through Mays Landing, NJ. This tree (below) blocked access to my sister’s house in Vineland, NJ. 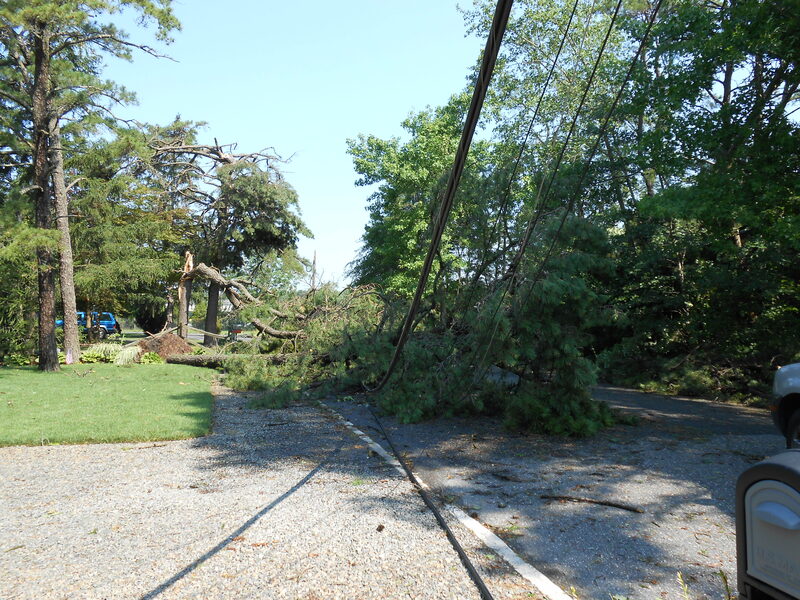 The fallen tree pulled down transformers, utility poles, and electric and telephone wires. Their street reopened six days later. The worst effects of the storm were fatalities. Two children lost their lives when a tree crashed on their tent as they camped in Parvin State Park. Several other storm-related deaths occurred. We sustained only minor damage at my house. Two tree limbs fell in my backyard, but the birdfeeders remained intact. 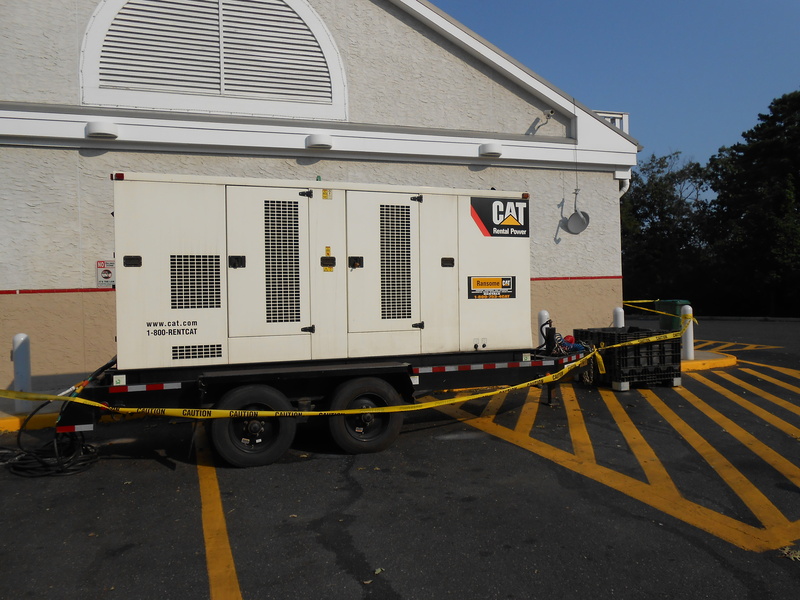 We are thankful for the 1500 plus workers who arrived in convoys of electric utility and tree service trucks. We noticed license plates from Ohio, Pennslvania, and Maine, as well as many trucks from other areas of New Jersey. The utility companies have an agreement to help each other in emergencies, and it was amazing to see how well this worked. Workers gathered by the hundreds at the Atlantic City Race Course in Mays Landing at mealtimes where they were fed by a catering company. They slept at night on the floors at the power-less Richard Stockton College. Local citizens picked up ice and bottled water at the AC Race course handed out by volunteers from the local Community Emergency Response Team. Despite all the inconveniences of this past week, we all have a new word in our vocabulary and a new topic to discuss while sitting around the pool: derecho. 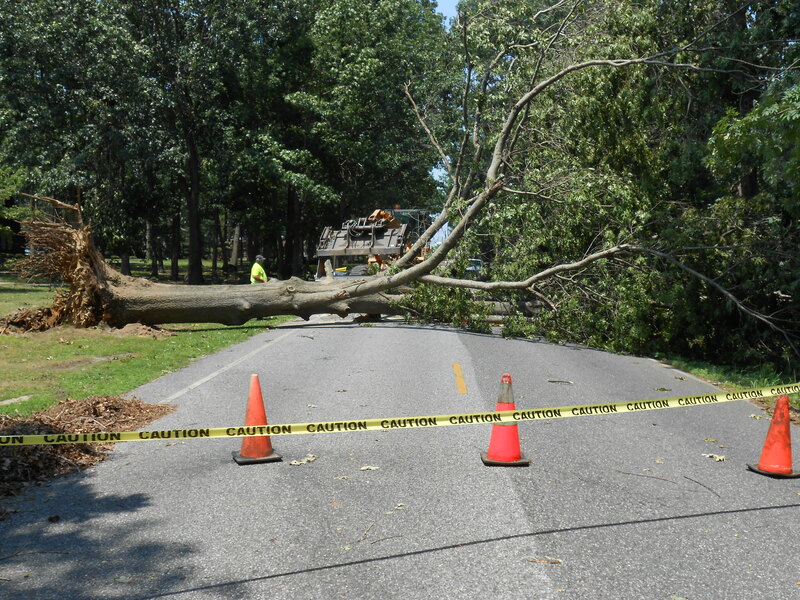 There was one other minor casualty of the derecho: my blog. Without my computer, I was not been able to post anything this past week. 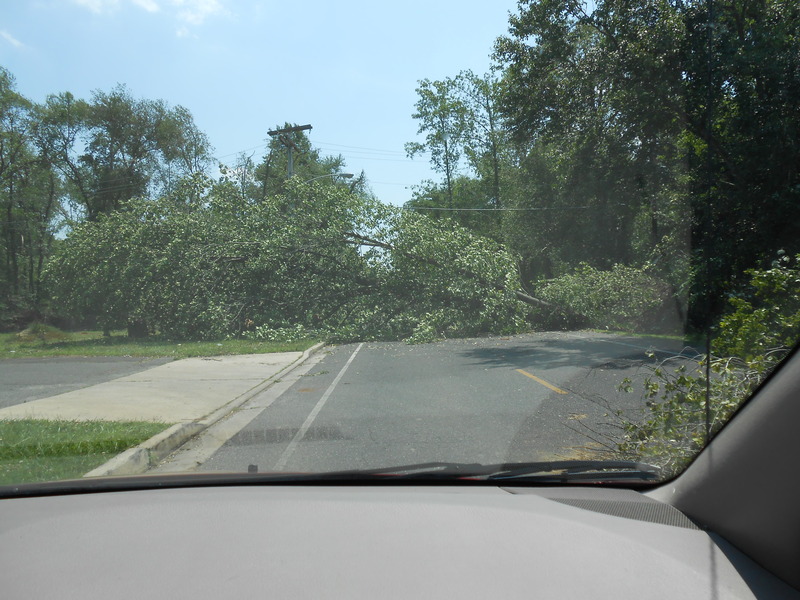 I blame that on the derecho! I’ll catch up this week, I promise. In the meantime, we are paying closer attention to thunderstorm warnings! Last week while cleaning out a closet, Adam found a box of pictures and asked me to go through them with him. In the box we found pictures from his ski trip to Alaska in 2003. Here’s how it all started. On occasion, my siblings (nine of us) and our spouses gather from various parts of the country (New Jersey, Delaware, Pennsylvania, South Carolina, Texas, California, Oregon) for a family reunion cruise. 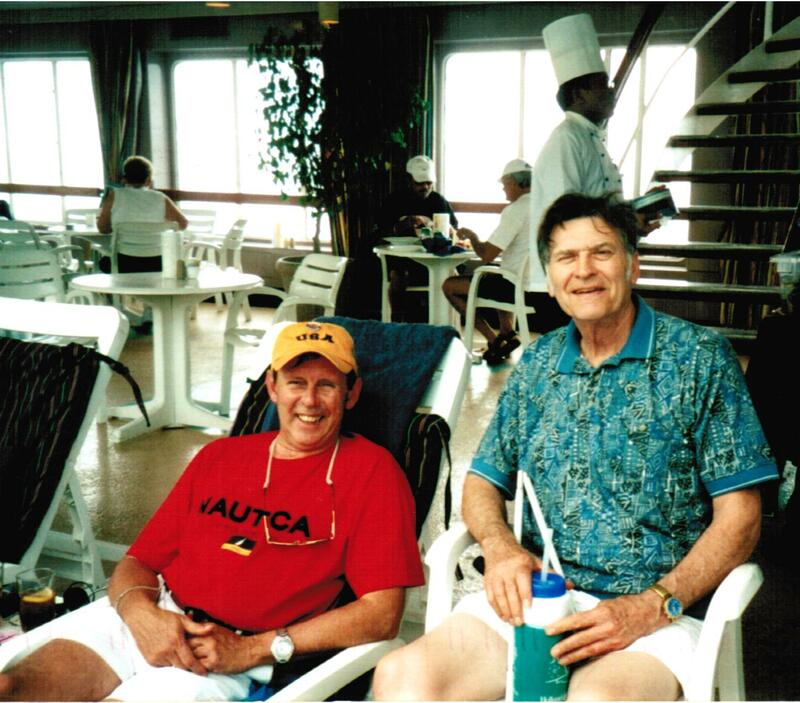 On our cruise in 2002, Adam walked the promenade deck early every morning for about an hour. On the first few days of the cruise, another family member walked with him, but soon he became oriented to the ship and felt confident enough to walk by himself. 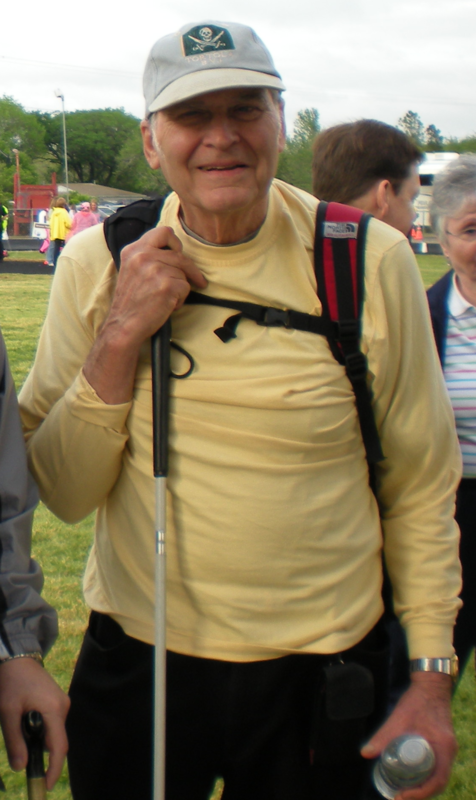 He always used his cane, so people were aware of his vision problem and were always willing to assist him if he needed it. Adam talks with Ski for Light friend on Holland America cruise. When Adam finished fighting with the pirates on board ship (he outsmarted them), he started planning his first ski trip. 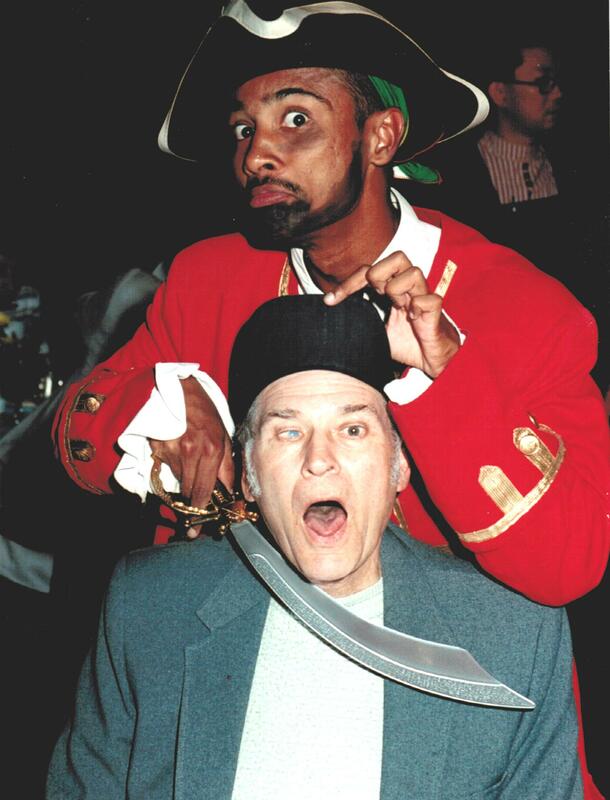 Pirates on cruise ship threaten Adam and demand his stash of gold nuggets. Six months later, Adam flew by himself from Philadelphia to Anchorage, Alaska, (thanks to the airlines for their excellent assistance!) 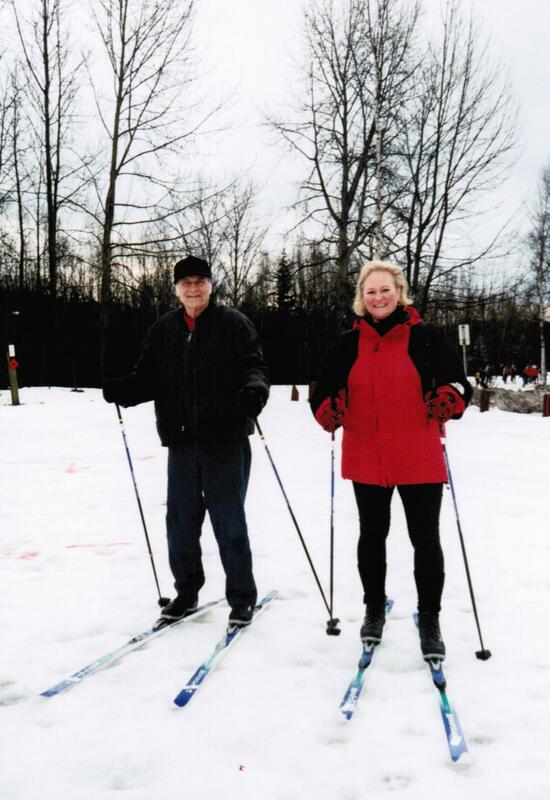 and met members of the Ski for Light organization at the Alyeska Ski Resort. 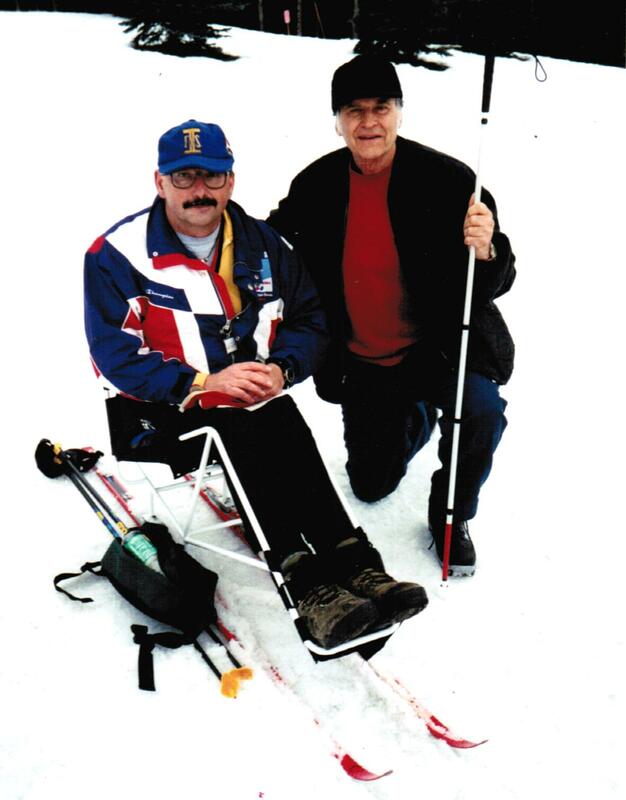 They paired him up with a sighted cross-country ski guide, and off he went. 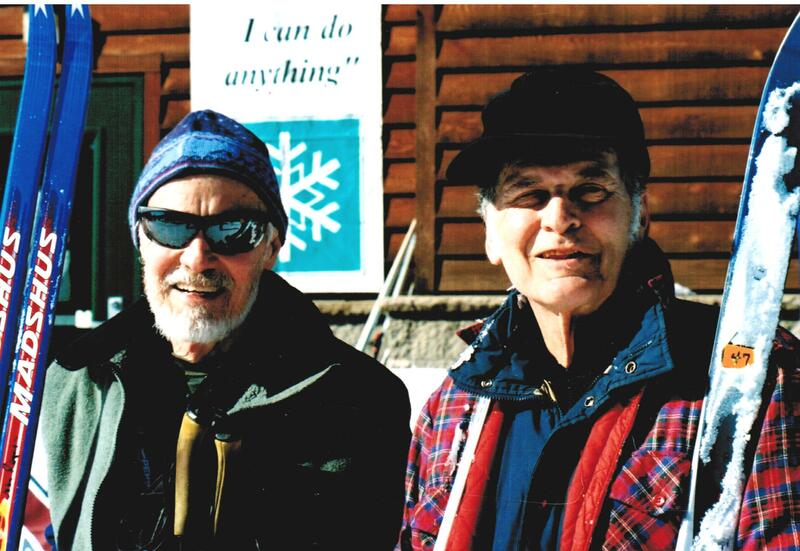 Ski for Light also arranges ski trips for MIPS (Mobility Impaired Persons) using specially-designed ski-chairs. The best part of the trip, Adam says, was meeting other visually and physically impaired people. 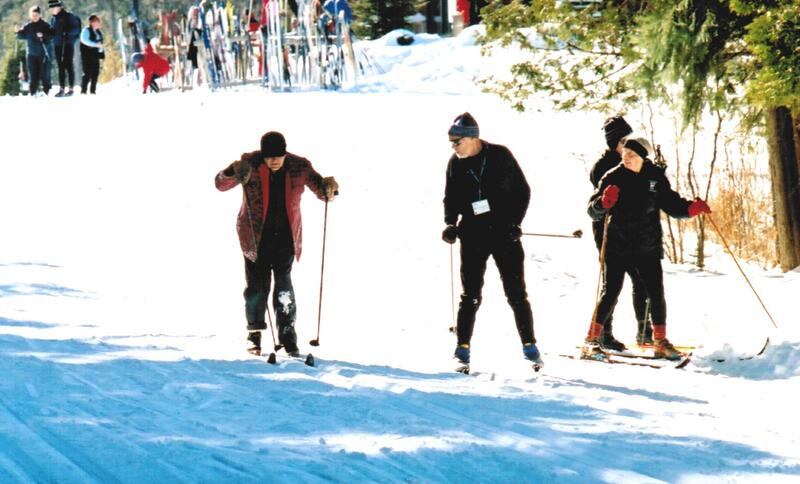 Seeing how they traveled and participated in the ski activities encouraged everyone involved. Now that’s positive thinking. How many 78-year-old men do you know that want to tackle the hiking trail? 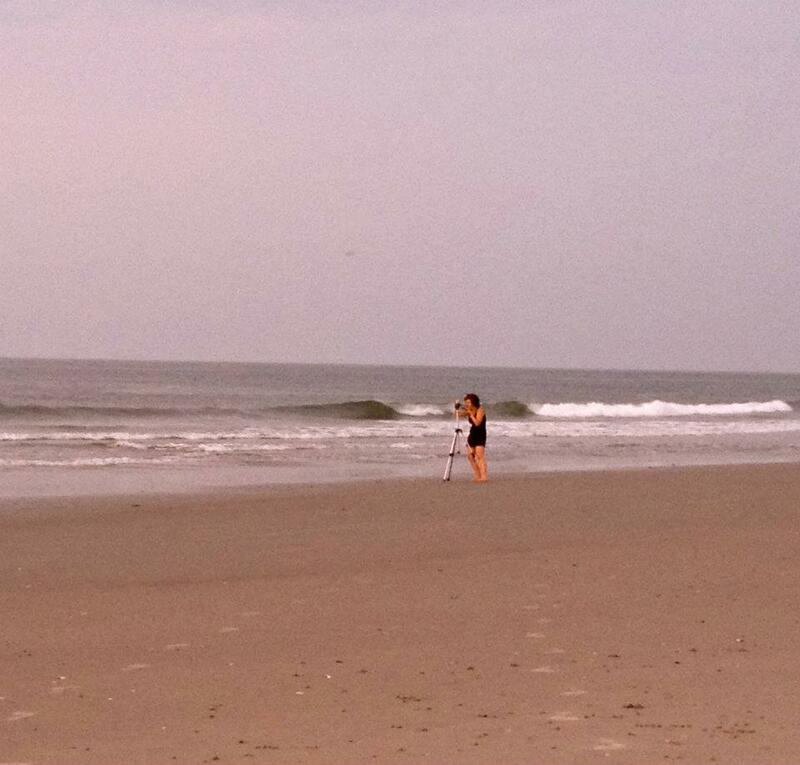 I think the Atlantic City Press is going to hear more about this intrepid adventurer. Look for more Ski for Light stories on their Facebook page.